Mom, Elise, Maly, Mara and I woke up early this morning and ran in the 2nd Annual Circle C Turkey Trot. Maly ran the 5K. Mom, Elise & Mara walked the 5K and yours truly ran the 10K. 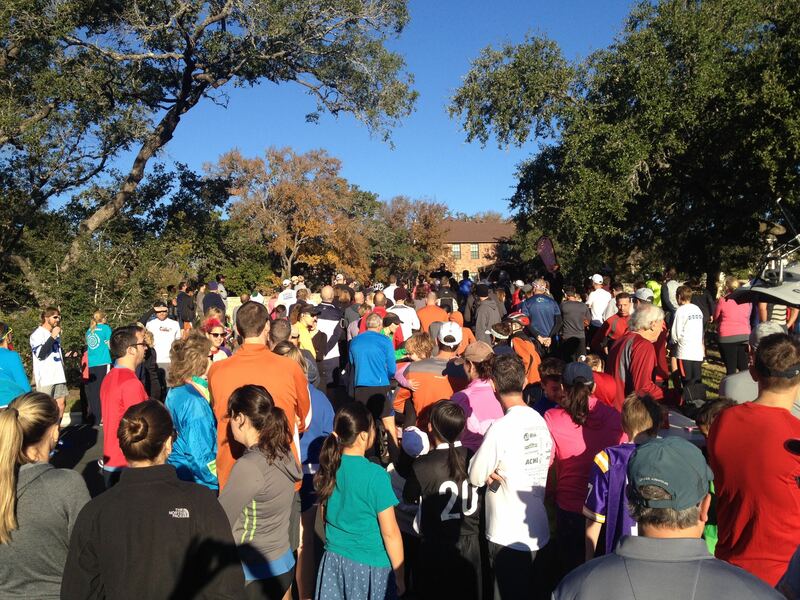 What’s funny is the 1st Circle C Turkey Trot was some neighbors who went on a run Thanksgiving morning in the neighborhood to avoid the chaotic and huge Thundercloud Subs Turkey Trot in downtown Austin. I think the first neighborhood trot (I wasn’t a part of this, but I ran into it while I was going on my own run) had 15 people. This year I’d venture to guess we had over 300 people participate. That’s a lot of miles on my feet this week. That’s the most that I’ve ran in any given week since I started running a year and a half ago. And the two long runs are the fastest long runs I’ve ever gone on. My first 10-miler 10 months ago was at an 8:45 minute mile pace. 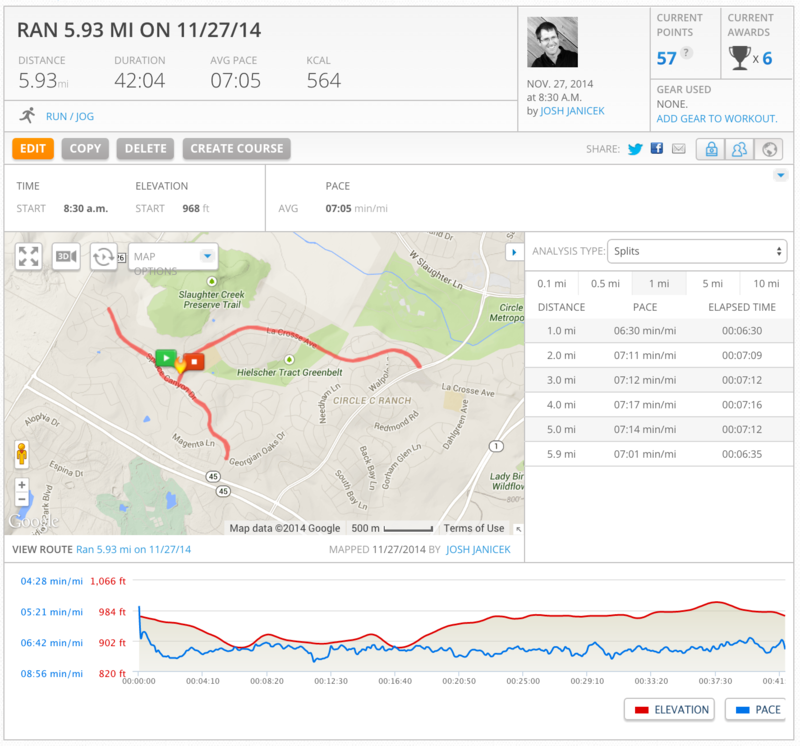 I ran a 13.3-miler at a 7:35 pace this past Sunday and I felt like I could’ve just kept going. I’m training for the 3M Half Marathon in January and would like to see if I can put in 50 miles weeks for the next 8 weeks. I’m going to see if I like running a half enough to determine if I’m crazy enough to run a full marathon. A full 26 miles. 26 miles. In a row. If so, I’m leaning toward Mount Desert Island in Maine or Big Sur. My mom got onto me because I rarely update Janicek.com anymore. Guilty as charged. Life happens, Facebook is easier and people just don’t blog like they used to. But I still want to try to memorialize things here. 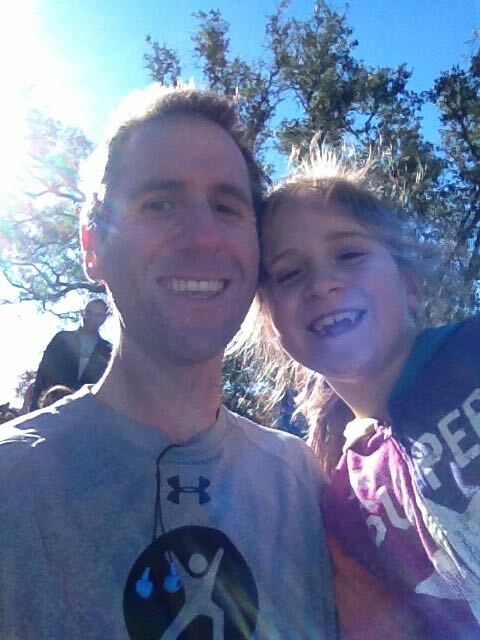 So that said, today we took Maly to Austin High where she ran in the AAPER 1-Mile Cross Country Run. Last week she ran the 3rd annual Kiker Fun Run (2.5 miles). 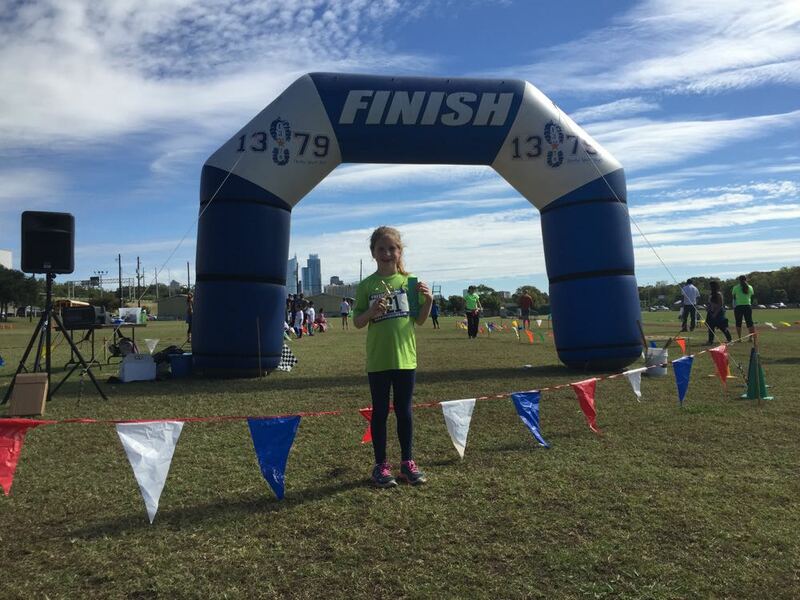 A few weeks ago she and Elise ran in the Austin County Fair 5K Stampede. I asked Maly tonight if she’s a runner now. She said, “I guess so.” I’m proud of her for wanting to run in these events. I’ve yet to have to nudge her to participate. I’m hoping maybe she’s found her “thing” in running. Maybe it’ll be a short-lived thing, maybe it’ll be a lifetime thing. I hope it’s the latter. I found running again after a 20+ year hiatus and wish I’d never have taken that hiatus. Maly came in 8th in her age division today. 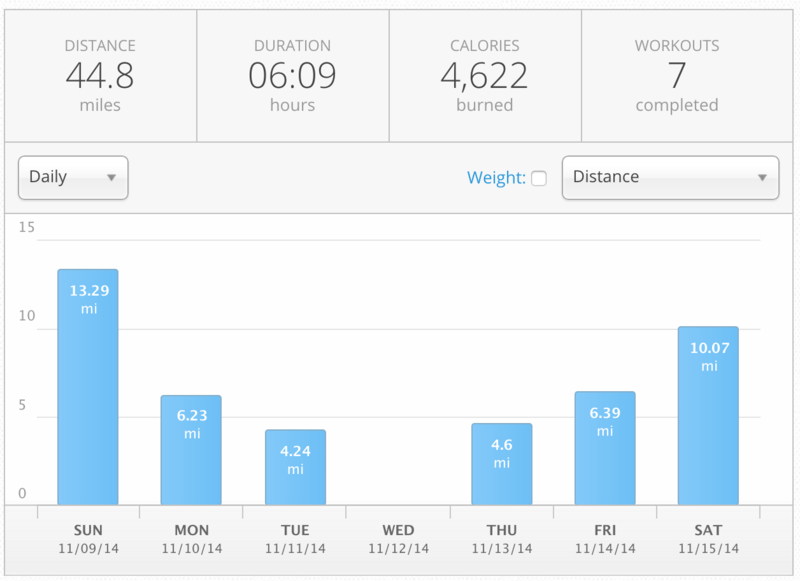 We’d done some 2 to 2.5 mile training over the past couple months. I thought a mile would be a breeze for her. I’d forgotten that a mile is a pretty fast race. The other girls were booking it. Maly’s pace is usually 10 – 11 minutes per mile. Given that this was a fast race with some competitive girls, she wound up running at a 9 minute mile. After the race she said she was exhausted. She put some heart into it. It was fun watching her amongst her peers and seeing that glimpse of fire in her eyes.